Who is done with their holiday shopping? Christmas is a mere 3 days away and I just started mine! I am officially in rush and panic mode. But don’t worry I do have an appetizer that is great for the holidays. Warm, light, fruity with that tang of brie cheese! YUM! They are very quick and easy and isn’t that what we all are looking for during the holidays? Shopping done, or not. 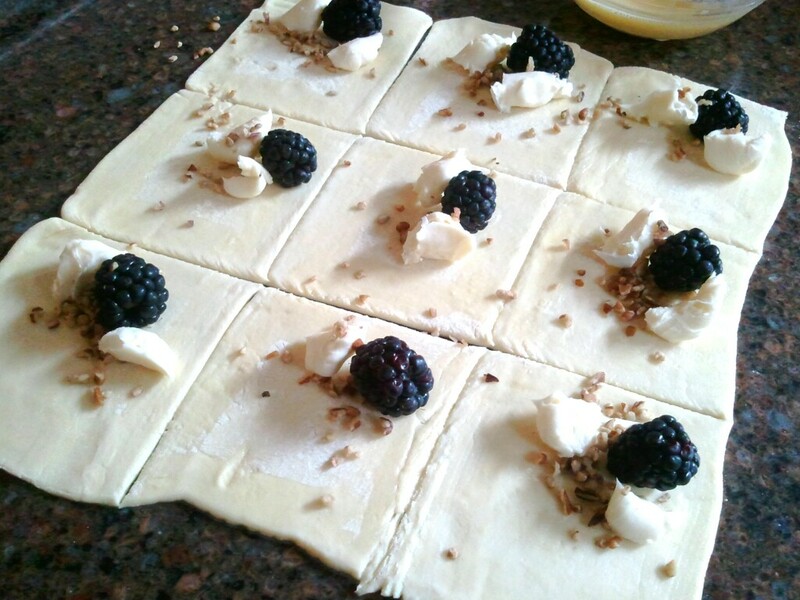 After you have cut pastry dough into 18 rectangles, brush around the perimeter of each rectangle with the egg wash. At one side of the rectangle, place one blackberry, 1 to 1 1/2 teaspoon of brie cheese and a sprinkle of nuts, Fold the pastry over to cover the filling. 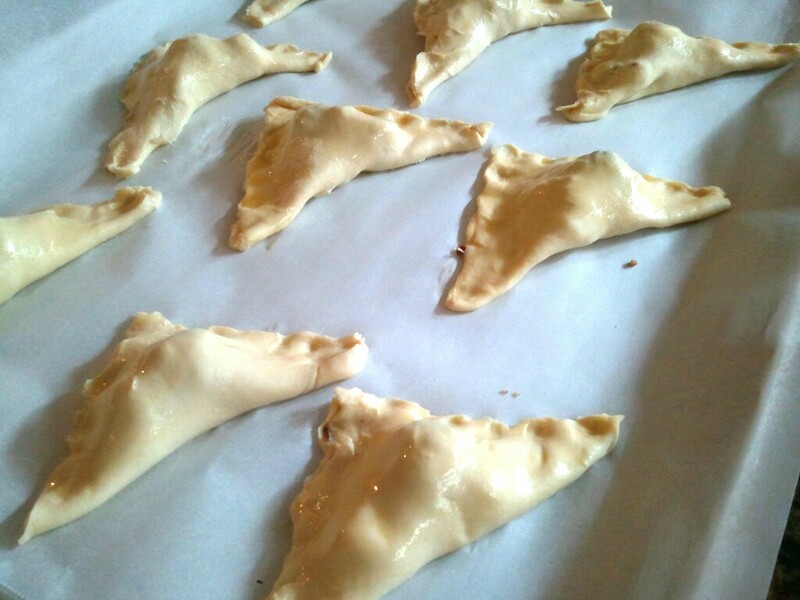 Then press edges of the dough together with your fingertips to seal. Brush the tops of the pastry with eggs wash. Bake on a parchment paper lined cookie sheet for 15-20 minutes, until tops are golden brown. 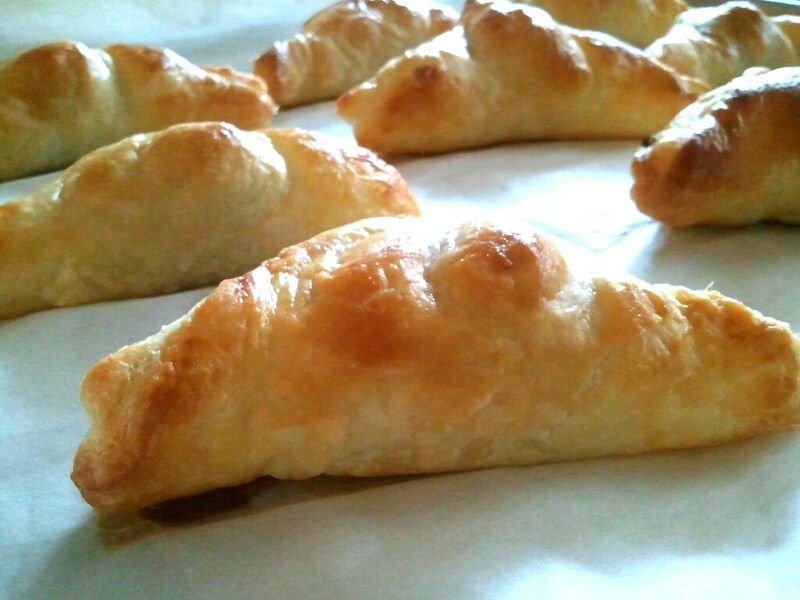 Let cool about 10 minutes, the filling is extremely hot! 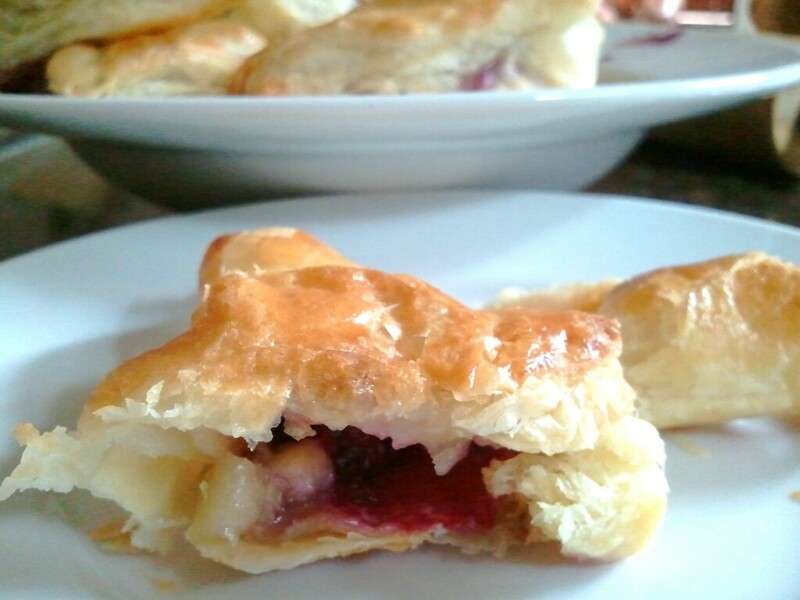 **TIP: The colder the pastry dough, the more “puff” you will get. So work quickly and make sure to get those babies in the oven still nice and cold!